Charlotte Motor Speedway's infield grass has its iconic Bank of America 500 logo painted and ready as race fans prepare to converge on the speedway for Sunday afternoon's action-packed return to "Daylight Racing Time." The track preparations are part of the lead-up to the first afternoon-scheduled Bank of America 500 in 15 years - a knock-down, drag-it-out battle featuring 12 Playoff drivers dueling for an all-important victory to clinch a berth in the Round of 8. Fans can buy tickets to this weekend's Bank of America 500 by calling 1-800-455-FANS (3267), visiting the ticket office or accessing http://www.charlottemotorspeedway.com/tickets/. 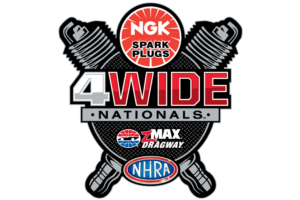 Adult Bank of America 500 tickets are also good for admission to Saturday night's Brad Paisley concert at zMAX Dragway presented by Wrangler and Nationwide and saluting the JR Nation Appreci88ion Tour.